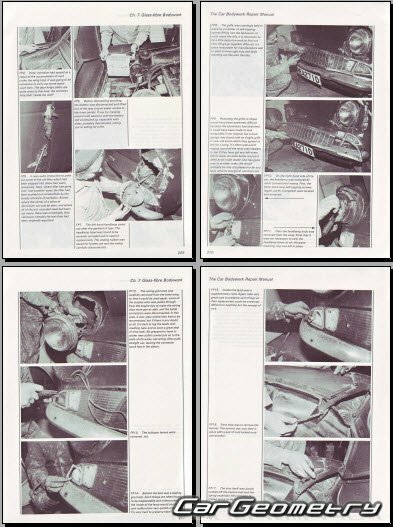 The definitive DIY manual on car bodywork repair. Topics range from simple dent and scratch repair to fitting complete body panels, with some useful advice on assessing the severity of accident damage. Whether you're just starting out with some filler and a can of touch-up paint or want to become an expert with a spray gun, this book is for you. 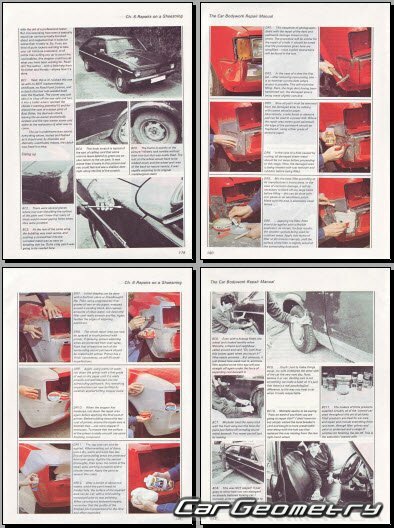 An updated edition of this practical guide to bodywork repair and renovation for the amateur repairer, which contains step-by-step instructions for bodywork repairs, from fixing a scratch to fitting a new body panel. Download book "Lindsay Porter Car Bodywork Repair Manual Do it"
Сборник технологических инструкций по ремонту кузова автомобиля Лада Гранта (ВАЗ 2190) и его модификаций с 2011 года выпуска. В сборник включены технологические инструкции, регламентирующие замену и ремонт кузовных деталей.